Kevin Mitchell To Get Possible Shot At Redemption Against Jorge Linares? Going into his world title challenge on May 30th against Venezuelan champion Jorge Linares, likable Dagenham lightweight Kevin Mitchell had to convince a lot of people that he really could perform when it was all on the line. After disappointing and emphatic stoppage losses in prior world title challenges on the big stage – against Michael Katsidis for an interim strap in 2010 and then again 2 years later against Ricky Burns – there were still serious questions about the Londoner’s desire and commitment, despite his career rejuvenation under the Matchroom promotional banner over the last couple of years. Those questions were answered by a lion-hearted Mitchell in a thrilling fight in which both men touched down – however Linares would be the man to eventually prevail, securing a 10th round stoppage, aided in part by a horrific eye swelling that had blighted Mitchell’s face. Cries of “rematch” perhaps rightly echoed from the Brits – and now Linares has signed to make his next defence against an as yet TBA opponent in his home country of Venezuela, there is every chance Mitchell could get the opportunity to turn “Road Warrior” as the likes of fellow Brits James DeGale and Kell Brook have done recently enough on foreign soil. Linares’ representative has spoken out to confirm his man will indeed be fighting on Venezuelan soil next time out, and one must surely consider the positive noises from Linares and promoter Oscar De La Hoya immediately following the fight in terms of the rematch? WIll Kevin get the call? Irrespective of what ends up being confirmed, Machek has confirmed that Mitchell is definitely one of the names at the top of the pile, alongside Colombian Darleys Perez – who fights Anthony Crolla in Manchester on the 18th of this month for the WBA (reg) lightweight strap. 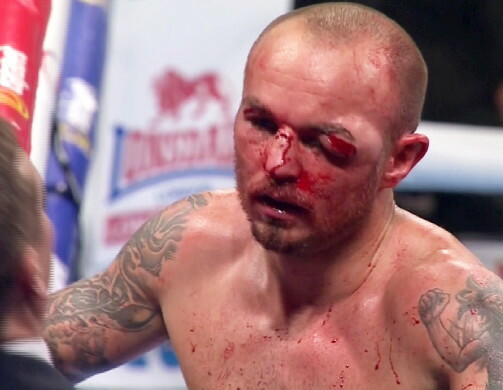 Possible redemption and another crack at the whip are still very much realities for Kevin Mitchell. You are here: Home / Boxing News / Kevin Mitchell To Get Possible Shot At Redemption Against Jorge Linares?